Prior to mediation, the vast majority of people would say “no.” They reason, somewhat correctly, that if they could talk through their problems, they would not be in this situation to begin with. The expense of mediation also puts off many people. Mediation is not terribly expensive, but it is not cheap either. However, after their session ends, many people change their tunes about mediation. This alternative dispute resolution format resolves around 75 percent of cases. Most other parties partially resolve their disputes, thus narrowing the issues for trial. Mediation does not always work, but it is almost always worth a trial. The potential savings in terms of time and treasure are just too significant to pass up. According to the Department of Justice, mediation saved litigants about $15 million in legal fees and 2,000 months of litigation time. 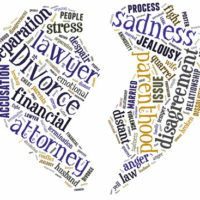 Both at trial and at mediation, experienced divorce attorneys always have a plan. Sometimes, that plan involves some of the points discussed below. At first, agreeing on a parenting time resolution may seem like a lost cause. There seems to be little room for compromise. After all, a parent is either the residential or non-residential custodian. There is no in-between designation. Empty Nest: Normally, the children go back and forth between the parents’ homes. In the empty nest arrangement, the parents switch residences and the children stay in the same place. This situation only works if the parents get along well and live reasonably close to each other. Extended Weekend: The weekends start on Thursday night and end on Monday night. That slight change significantly increases the number of non-residential overnights. This arrangement only works if the parents live close together. If they do not get along, the pickup and dropoff can take place on neutral ground. Block Scheduling: Each parent receives a week or two weeks with the children regardless of holidays or vacation schedules. Accommodations can be made here and there, for things like Father’s Day and Mother’s Day. Florida is an income share state for child support purposes. So, the amount of parenting time also affects the amount of child support. The more overnights the non-residential parent has, the lower the child support obligation. Offsets are good ways to achieve results in property division disputes. For example, Husband might pay Wife a little more alimony in exchange for a larger share of his retirement account. Or, Wife might give up part of a rental house for a larger equity share in the marital residence. Compromising during mediation is usually a much better option than rolling the dice at trial. It’s almost impossible to determine how a judge will rule on a given issue. And, an appeals court will probably not overturn the decision unless the judge clearly abused his/her discretion or blatantly ignored the law. These things are not very likely. Despite any misgivings the parties may have, divorce mediation usually works. For a free consultation with an experienced family law attorney in Port St. Lucie, contact Eighmie Law Firm, P.A. We routinely handle matters all along the Treasure Coast.